Athletes are hardworking people. They wake up odd hours, train in the cold and rain, torture themselves with the second hand of the clock. They go to work with wet hair and wrinkled pants and half-shaved faces and legs because they had a flat that morning, or their run was feeling so good they decided to go a few miles farther than usual… They break bones and tear ligaments and sprain ankles and bust knees. And whatever else you can say about them, one thing always holds true—serious athletes put in hours (and hours and hours) of training time to be as fast as they are. Now add to that a few children with interests of their own—the swim meets, the soccer games, the theater practice, and all the precursors, too, the diaper changing and feeding and waking up in the middle of the night. Being a parent is equal to, if not more than, a full-time job. It would seem impossible to be both a mother and a competitive athlete. But let us introduce you to four women who make it work, just a few of the many “fast mamas” here in Austin. Missy, helmswoman of Austin Tri-Cyclist and mother of two, said triathlon first peaked her interest in 1984 when she saw “the infamous” Julie Moss crawl to the finish line of the Hawaii Ironman. A high school track and cross-country runner at the time, Missy went on to run track for the University of Texas in San Antonio for four years. After graduating in 1990, she entered her first tri and loved it, despite dog-paddling through most of the swim. A year later she won her age group in Du Worlds, and in 1995 her and Don’s honeymoon in Cancun was capped by a third-place age-group finish at that year’s Du Worlds. 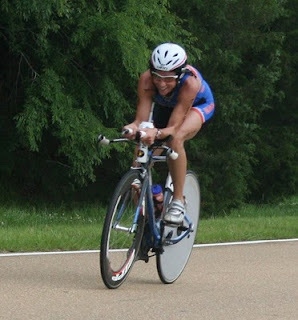 In addition to many other overall wins and a year competing as a pro duathlete, she qualified for Kona at the half-ironman in Panama City, Florida, in 1998, and at Kona placed fourth in her age group, narrowly losing third in a sprint finish. And those are just the highlights of Missy’s race resumé. She concentrates on local races now, and is first-place finisher at many of them. Missy and Don have lived in Austin for 18 years, and both work full-time at ATC. Their two daughters, Emily and Taylor, are 10 and 13. Betty is another well-known athlete in Austin—at road races and criteriums her name on the roster means you’ve got your work cut out for you if you expect to finish anywhere near the front. But Betty got started only about four years ago. When she quit smoking at 39, a friend suggested she train for a marathon. She did, followed by a few half marathons, then a sprint-triathlon just after her 40th birthday. Her bike split was encouraging, so she began competing in road races, crits, and time trials. This past year she won Cat 3 overall at the Tour of Austin, also setting the fastest female TT time of the day in any category. In 2009, she was training for her first Ironman, but developed a femoral stress fracture that put her on crutches for three months, and sidelined her from running for another three after that. Depending on the time of year, you’ll find Betty, back in good health, out racing at the Driveway or in other cycling events or triathlons nearly every weekend. She races on the Woolly Mammoth team, sponsored by ATC. Betty has lived in Austin for 30 years and is currently a full-time student of nursing. Her two daughters, Anna and Grace, are 16 and 18. Maggi is a pediatric occupational therapist. Her daughters Molly, Sophie, and Brigid, are nine, six, and five. Jen has lived in Austin since she attended law school at the University of Texas in 1997, moving here from Galveston. “I used to complain about three-mile runs along the seawall,” she says, but when she met runner and future-husband Andy Stewart she decided to impress him by signing up for the NYC marathon. (It worked, we’re guessing.) 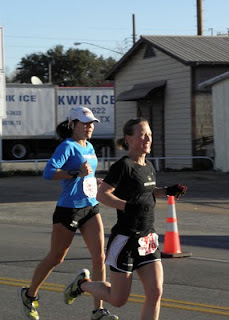 After that she was hooked, and in her first five years of competing ran two to three marathons a year and most of the races in the Austin Distance Challenge. Jen has completed about 20 marathons. 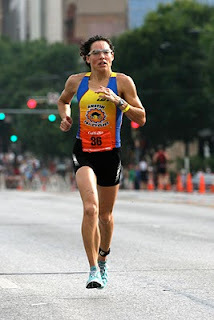 Her last competitive marathon was the California International in 2008, where she came within less than a minute of her personal best from 2003 (3:10). 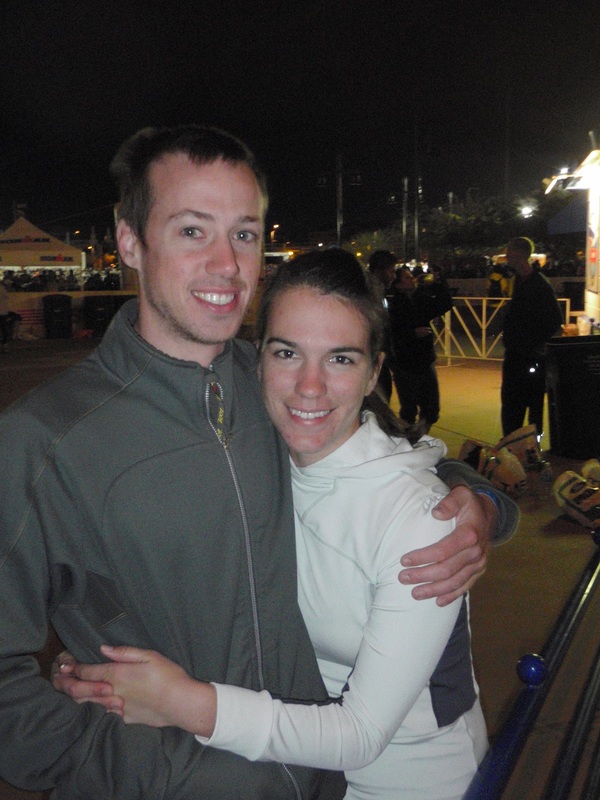 This year will be her fourth stint as a pacer for the Austin Marathon. Jen works full-time for the Texas Legislative Council as a drafting attorney for the Texas Legislature. Her daughter Maggie is almost five years old. The biggest challenge, the fast mamas agree, is scheduling. Even for Betty, whose children are older, finding the time to train can be difficult. “I thought I would have no trouble fitting it all in,” Betty says. “Even though my daughters live with their Dad, finding a way to fit in their events as well as my own training and events is a real struggle.” She says when she first started competing, her daughters helped her focus by being her motivation to get up early to train. Many fast mamas squeeze in a workout in the wee hours of the morning or on their lunch breaks. Missy still makes her workouts a priority, but says that having children has required her to focus on the quality of a workout, and to be more flexible if her plans have to change suddenly. For example, if she has to miss a scheduled workout because of a “kid thing,” like an illness or event or even if her daughters just don’t want Mom to leave right then, Missy finds another time to fit in her training. And since she doesn’t have a whole day free, she makes sure that each workout has a particular goal. “The challenge of triathlon and having a family is that triathlon is three sports,” Missy says. “There’s more training time required, and the races are difficult or even impossible to participate in if you don’t have someone to watch your kids.” She says that given her daughters’ current ages, however, she’s in a good stage now—her work schedule is flexible, and she’s usually able to train while they are at school. The fast mamas didn’t let pregnancy slow them down (or at least not for long). Most kept training, and some did a few low-intensity races. When Missy was pregnant with her second child, and also resting in an attempt to heal a hip injury, she focused on swimming. “This is when I really learned to love swimming,” Missy says. Jen did strides when she found herself missing sprints, and did a lot of trail-running and runs with friends. In addition to running and swimming, Maggi spent a lot of time on an indoor trainer. “I would have probably killed someone before I delivered if I hadn’t been able to work out during pregnancy, and it surely made for an easier comeback after,” Maggi says. Maggie Stewart, at five, isn’t training for anything just yet. However, we hear she swims “like a fish.” In another decade or so, no doubt we’ll be seeing all of these kids in the top three (of whatever they decide to do) as much as their moms. What’s the most important thing for a fast mama, hands down? Having someone around who knows why she’s out there doing what she does. So tell all the tri-moms you know how much you admire them…and then maybe offer some free child-care. We hear they like that. Special thanks to the “fast mamas” for taking time out of their very busy training schedules to answer these questions. Since training is just about all your IRON-MAHN (or WOMAHN*, as the case may be) thinks about, it’s hard to give him anything but triathlon gear for Christmas. But what to get? The rosy-cheeked, cheerful fellows at Austin Tri-Cyclist are here to help. Ah, the deathtrap. Your triathlete doesn’t need an MP3 player when his bike already makes as much noise as Waylon Jennings. Get him a tune-up to stop the wailing and to ensure that gears are shifting properly, cables are in good shape, and the frame and components are free of grime. Salt (aka, hard-earned sweat) and road grime on his drivetrain will make his bike wear out faster, and mechanical problems can send him flying down Jester or Big View with nothing to slow him down save the asphalt. A thorough tune-up from ATC is only $40 (winter special price, good until Jan. 15). In the winter it can be hard to fit in a ride outside. 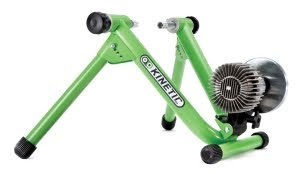 We’ve got Kurt Kinetic, CycleOps, and Blackburn brand trainers in stock. Now he has no excuse. Rainy? Dark? No problem. Using an indoor trainer is also a good way to do structured intervals without having to worry about traffic, hills, or getting chicked. More exciting than candy canes. ‘Nuff said. You don’t want to leave him out there, helpless in his spandex-and-helmet ensemble, but one day you’re going to do it. Before that day comes, consider getting him new tires. We carry puncture-resistant Gatorskins, great for training and commuting, and the GP4000s, good all-around racing and training tires. We also have plenty of pure racing tires in stock like the Vittoria Open Corsa Evo CX (320tpi version), one of the fastest tires on the market. Choose what suits him best, but whatever you pick, make sure for your own sake that you get him a flat kit, too. Here’s a year-long training companion who’ll never complain about early mornings or stinky running shoes. It’s a logbook and training guide all rolled (compactly) into one, with contributors that include Mark Allen, Thomas Hellriegel, Joy Leutner, Paula Newby-Fraser, and Dave Scott, just to name a few. If your triathlete doesn’t know who these personalities are, we suggest a different resource for him—perhaps a set of encyclopedias. If he’s slacking, he’ll know. 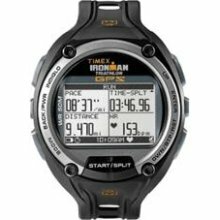 This watch measures pace, speed, and distance, and has a number of other magical data-collecting powers, including a heart rate monitor and software that can be used to download times and routes for training review. 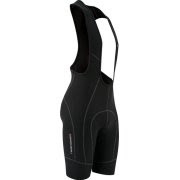 We carry Nineteen, De Soto, Zoot, Rocket Science, and 2XU wetsuits, all 20 percent off in the winter. A wetsuit can make a big difference in swim times, as much as 10 seconds per 100 meters. And though a wetsuit may look funny hanging in his closet next to his suit and khakis, think of all the superheroes who’ve had the same multiple-identity problem. You’ll have to come up with a pseudonym: Seal-Boy? Robo-fish? 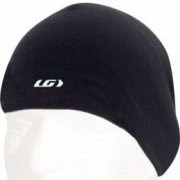 You’re supporting your local tri shop, and really, does it get any more fashionable than this? Just look at those sporty, sunburst colors—the vibrant yellow, the delicate orange. And best of all, the Dillo will strike fear in the hearts of all competitors. They may never be the same. In fact, they might not even make it through bodymarking. You know someone who needs these. You’re all too familiar with the contours of his backside through his transparent outerwear. This is more a Christmas present for yourself than for the receiver. (You’ll be able to draft again!) In fact, you don’t even have to give this as a present. Just throw away the old shorts and replace them with the new ones. Sorry man, it was…Santa Claus? If there’s an event in town, you’ll see the pros out in their full compression duds, said to aid in recovery, improve blood circulation, and reduce muscle vibration. 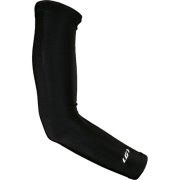 We’ve got all the gear, including compression shirts, pants, and socks. Happy holidays from your local tri shop! * We only say “he” because that’s easier, and also, more grammatically correct than “their.” Our apologies! The day is 60-something degrees and rainy. Timo Bracht is leading the first part of the run, head to head with Jordan Rapp, and Chrissie Wellington is riding a flat through her last six miles of the bike course. Age-groupers are strung out behind the pros like a line of plodding ants, most expecting to see the full moon before the finish line. Austin Tri-Cyclist’s fearless Team Stroobandt, husband-and-wife pair Adam and Rita, are just starting their second loop of the bike. But we can’t begin here. Like any good epic, the Stroobandt story must commence with a tale of adversity. And we’re not just talking about how, in July, Tempe Town Lake’s inflatable dam popped like a toddler’s floatie, nor how, as a result, the race was threatening to start with a breaststroke through the sand. Adam (who’s the type of guy who can roll off the couch, brush the potato chips from his shirt, and run a five-minute mile, but swims like your grandmother wearing ankle weights ) would not be so lucky. The gods in their aero helmets, rolling around on their mighty disc wheels in the sky, were not smiling on our protagonists. Truly, the most difficult part of Ironman Arizona for the Stroobandts was just getting there. The first malevolent celestial intervention (no doubt that it could be anything but) came in September. Adam was on a training ride, speeding along 360, when a large rock scurried, snarling and vicious, out of the grass and stopped right in front of his wheel. His new Cannondale Supersix lost the ensuing battle, and Adam went head over handlebars into a guardrail. (“The good thing was, it stopped me immediately,” our hero says thoughtfully. “So no road rash.”) Passing motorists were convinced that he was toast, but Adam was still with us, having subluxed his left shoulder, separated his AC joint, and torn a few rotator cuff muscles. The doctor took a serious tone. Six weeks before resuming physical activity, he said, but Adam thought that was great—it just happened to be, to the day, six weeks to the Ironman. The doctor looked at him blankly. “Not recommended,” he said. Any other mortals would have thrown in the towel right then and there, but the cycling deities had underestimated the Stroobandts. With a busted shoulder and a borrowed bike, they made it to Arizona. And there the tale ends. Sorry to disappoint, fellow triathletes, but there’s no real moral, only this: If people tell you you’re crazy to do what you do, at ATC you’re in good company. Come into the shop this week and give Adam a big pat on the shoulder!